Topics: End of the World 2012 prophecy? Is there going to be a catastrophic end of the Word in 2012? Or will a transition to a new era of a spiritually established society take place? Are these facts truth or fiction, deception and deceit? A day, which arouses fear in many people, is coming. 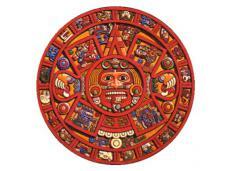 That day is the 21st December, 2012, when the ancient calendar of the extinct Mayan civilization ends. In this article we will see what the Bible says about the end of the world and whether the Mayan prophecy really could point to the end of the world or whether is it a mere deceit. The existence of Mayan culture dates from about 2000 BC to 1541 AD. The Mayas represent an ancient mysterious population of Central America. They lived on the Yucatán peninsula, on the territory of today’s Mexico and Guatemala. They excelled especially in mathematics and astronomy. Mayan prophecy was based on their calendar system. Mayan system was founded mainly on study of the relation between movements of celestial objects and changes in human society. On the 21st December, 2012, according to Mayan calendar, the cycle of the actual human civilization will end. Then a completely new civilization, which is incomparable with the current civilization, will begin for mankind. On the day of winter solstice the Sun enters in conjunction with cross point of Galactic Sun trajectory and Equator. In this way they will form “Heaven´s Gate” in the Milky way´s “black hole”. This appears to the Earth as an opening of “doors to Heaven”. Many claim that the end of the Mayan cycle in 2012 will bring the physical liquidation of the planet Earth through a natural disaster. Mayan prophecy, however, talks about a beginning of a new era for the civilization. Because of the circumstances connected with it, mankind will be forced to understand, that it is necessary to replace the existing materialistic and consumption oriented society with a spiritually developing one, where all the people will have a fully equal status. Are there other prophecies about the end of the world similar to the Mayan? There are many other prophecies that speak about the end of the world in this period and that frighten people. These are prophecies of fortune-tellers of different centuries and different parts of the world. E.g., Nostradamus prophecy, prophecies of Sybil, Baba Vanga, saint Malachi´s prophecy about the last pope, the Chinese I Ching book. There is even an internet program collecting data from the World Wide Web. According to the WEB BOT project prophecy, there are going to be the most natural catastrophes around 2012. The number of prophecies about the end of the world that point to the events around the year 2012 is high. Is there something true about the Mayan and other prophecies, or is it just a deceit? In order to understand the Biblical point of view on doomsday, we must first explain, what the forces that rule the world are. Evil represented by Satan. Love and goodness represented by God, Creator of this world. Satan wanted to be equal to God, and after a rebellion in Heaven, he was casted out into the Earth, together with other fallen angels. He deceived the first people, Adam and Eve, and so brought hatred, pain, anger, hate, avarice, selfishness, and pride to this world. And spreading it all around the world is a great delight for him. Revelation 12:7-9 - And there was war in heaven: Michael and his angels fought against the dragon; and the dragon fought and his angels, And prevailed not; neither was their place found any more in heaven. And the great dragon was cast out, that old serpent, called the Devil, and Satan, which deceiveth the whole world: he was cast out into the earth, and his angels were cast out with him. God loves us so much that He did not want to leave us at the mercy of Satan´s doom. He sent His only begotten Son, who took our sins upon Him. He died for us, he died instead of us for our sins. Through Jesus Christ, we can find the way back home, where there will be neither wrath nor anger anymore. The struggle between good and evil has been already won on the cross through Jesus Christ, more than 2000 years ago. If the evil has already been defeated, why does it still exist? This world is a theatre for the whole universe, every being can find out how nasty sin is. The whole universe observes with astonishment final events in this world. Before the conflict in heaven, no being knew what evil is. We are a textbook of the whole universe; every being can learn what the consequences of disobedience are. Just look around, we are surrounded by violence, murders, chaos, wars, catastrophes, illnesses, avarice, selfishness and pride. The result of disobedience is death. God is love, and love is liberty and freedom of thinking. Every being has unlimited freedom. If God restricted Satan, all the beings obeyed God for fear and not for love. That is why this world is left at the mercy of Satan´s anger, until iniquity of this world is fully manifested. Until iniquity does not reach Heavens. Then shall the end come and Jesus Christ will return. The Bible shows us signs that will precede the end of our history. These biblical signs and prophecies are already finding their fulfillment. Indeed, the end of this world´s history and the advent of our Lord Jesus Christ is approaching. 2. Timothy 3:1-5 - This know also, that in the last days perilous times shall come. 2 For men shall be lovers of their own selves, covetous, boasters, proud, blasphemers, disobedient to parents, unthankful, unholy, Without natural affection, trucebreakers, false accusers, incontinent, fierce, despisers of those that are good, Traitors, heady, highminded, lovers of pleasures more than lovers of God; Having a form of godliness, but denying the power thereof: from such turn away. There have always been wars, unrests, catastrophes, famine and misery in this world. Yes, I agree, but have there ever been all these disasters simultaneously in such a large measure? Matthew 24:6-8 - And ye shall hear of wars and rumours of wars: see that ye be not troubled: for all these things must come to pass, but the end is not yet. For nation shall rise against nation, and kingdom against kingdom: and there shall be famines, and pestilences, and earthquakes, in divers places. All these are the beginning of sorrows. Luke 21:9-11 - But when ye shall hear of wars and commotions, be not terrified: for these things must first come to pass; but the end is not by and by. Then said he unto them, Nation shall rise against nation, and kingdom against kingdom: And great earthquakes shall be in divers places, and famines, and pestilences; and fearful sights and great signs shall there be from heaven. It is only in these days that the gospel can be delivered to the whole world. In times of media, internet, the gospel spreads with the speed of flash. Bible tells us that at the time of the end, there will be a decline of faith and religion. Why are there so many teachings and religious movements today? Why are there so many Christian churches? 2. Timothy 4:3-4 - For the time will come when they will not endure sound doctrine; but after their own lusts shall they heap to themselves teachers, having itching ears; And they shall turn away their ears from the truth, and shall be turned unto fables. Satan knows very well that the history of this world is coming to its end. As we have already said, he has been defeated. He has been defeated when Jesus died for us. By faith in Jesus Christ, we can be freed from Satan’s power. So Satan cannot govern this world completely and carry out his plan. Satan also has prepared his sign for the end of this world´s history in order to deceive the whole world. Satan knows that his time is short. Therefore he intensifies the evil and deception to seduce all the people in this world. But let´s return to the Mayan prophecy. As we have already mentioned, according to the prediction of the old Mayas, the world should only pass to a new era, the era of Aquarius. It will begin a completely new civilization for mankind, incomparable with the present one. Humanity will live a more spiritual life instead of a materialistic one. Let´s see what do other religious movements that have great multitudes of followers declare. What does the movement New Age proclaim? According to it, mankind entered in 2000 in the age of Aquarius which brought a new order, human society and religion. The movement aims to become a new global ideology that can create total knowledge of the world and of our civilization. It seeks a fusion of different religions and philosophical streams. The so-called Maitreya Christ will, according to Benjamin Crème, soon appear to the whole world. He preaches the transition to a new age of Aquarius, a new age full of peace and serenity. People will not be materially based, and there will be abundance and prosperity everywhere. What is the aim of the Catholic Church, whose teachings are inconsistent with the Bible? It is the unification of all the religions around the world under one single leader, the Pope. And in this way to establish peace and justice all around the world. What is the aim of global development in this world? Unification of the whole world and establishment of a new world order. All the movements point towards the unification and establishment of world peace and justice. This may be achieved only through a person that would be able to dazzle the whole world. The Bible tells us that at the end of the history of this world, Satan will present the biggest deception and deceit he ever did. He will try to imitate the second advent of our Lord Jesus Christ, in order to induce the whole world to follow and worship him. 2 Thessalonians 2:3-12 - Let no man deceive you by any means: for that day shall not come, except there come a falling away first, and that man of sin be revealed, the son of perdition; Who opposeth and exalteth himself above all that is called God, or that is worshipped; so that he as God sitteth in the temple of God, shewing himself that he is God. Remember ye not, that, when I was yet with you, I told you these things? And now ye know what withholdeth that he might be revealed in his time. For the mystery of iniquity doth already work: only he who now letteth will let, until he be taken out of the way. And then shall that Wicked be revealed, whom the Lord shall consume with the spirit of his mouth, and shall destroy with the brightness of his coming: Even him, whose coming is after the working of Satan with all power and signs and lying wonders, And with all deceivableness of unrighteousness in them that perish; because they received not the love of the truth, that they might be saved. And for this cause God shall send them strong delusion, that they should believe a lie: That they all might be damned who believed not the truth, but had pleasure in unrighteousness. Luke 17:23-24 - And they shall say to you, See here; or, see there: go not after them, nor follow them. For as the lightning, that lighteneth out of the one part under heaven, shineth unto the other part under heaven; so shall also the Son of man be in his day. Luke 21:8 - And he said, Take heed that ye be not deceived: for many shall come in my name, saying, I am Christ; and the time draweth near: go ye not therefore after them. Matthew 24:4-5 - And Jesus answered and said unto them, Take heed that no man deceive you. For many shall come in my name, saying, I am Christ; and shall deceive many. Matthew 24:23-28 - Then if any man shall say unto you, Lo, here is Christ, or there; believe it not. For there shall arise false Christs, and false prophets, and shall shew great signs and wonders; insomuch that, if it were possible, they shall deceive the very elect. Behold, I have told you before. Wherefore if they shall say unto you, Behold, he is in the desert; go not forth: behold, he is in the secret chambers; believe it not. 27 For as the lightning cometh out of the east, and shineth even unto the west; so shall also the coming of the Son of man be. 28 For wheresoever the carcase is, there will the eagles be gathered together. Now we know that we are going to face a big deception prepared by Satan. There will be false messiahs; the advent of Jesus Christ will be imitated. Could this event, recorded in the Bible, resemble to the 2012? I do not say that this Biblical event will take place in this time. It is clear that it will happen once. If something will happen in the period around 2012, it will be deception and fraud, prepared by the dragon, that old serpent who is the devil, and Satan. Let's have a look on what the Bible says about the real advent of Jesus Christ. What will it look like and whether mankind will know about it in advance. The Bible tells us that anybody will know neither the hour nor the day of arrival of our Lord Jesus Christ in advance. Mark 13:32-33 - But of that day and that hour knoweth no man, no, not the angels which are in heaven, neither the Son, but the Father. Take ye heed, watch and pray: for ye know not when the time is. 1 Thessalonians 5:1-3 - But of the times and the seasons, brethren, ye have no need that I write unto you. For yourselves know perfectly that the day of the Lord so cometh as a thief in the night. For when they shall say, Peace and safety; then sudden destruction cometh upon them, as travail upon a woman with child; and they shall not escape. Matthew 24:37-39 - But as the days of Noe were, so shall also the coming of the Son of man be. For as in the days that were before the flood they were eating and drinking, marrying and giving in marriage, until the day that Noe entered into the ark, And knew not until the flood came, and took them all away; so shall also the coming of the Son of man be. Now, we know that nobody will know the day of Jesus Christ´s arrival in advance. Let's see how will it look like, how does the Bible describe this glorious day. In the Bible it writes about an unbelievable glory and beauty. And every eye shall see him. It will be something unimaginably beautiful. No one will neither overlook nor miss him! Matthew 24:27 - For as the lightning cometh out of the east, and shineth even unto the west. Matthew 24:30-31 - And then shall appear the sign of the Son of man in heaven: and then shall all the tribes of the earth mourn, and they shall see the Son of man coming in the clouds of heaven with power and great glory. And he shall send his angels with a great sound of a trumpet, and they shall gather together his elect from the four winds, from one end of heaven to the other. Mark 13:26 - And then shall they see the Son of man coming in the clouds with great power and glory. Luke 17:24 - For as the lightning, that lighteneth out of the one part under heaven, shineth unto the other part under heaven; so shall also the Son of man be in his day. 1 Thessalonians 4:16-18 - For the Lord himself shall descend from heaven with a shout, with the voice of the archangel, and with the trump of God: and the dead in Christ shall rise first: Then we which are alive and remain shall be caught up together with them in the clouds, to meet the Lord in the air: and so shall we ever be with the Lord. Wherefore comfort one another with these words. Revelation 1:7 - Behold, he cometh with clouds; and every eye shall see him, and they also which pierced him: and all kindreds of the earth shall wail because of him. Even so, Amen. No matter what happens, remember, that through faith in Jesus Christ, you have a chance to survive. By observing human traditions, statutes, superstitions and fables, you will not find salvation for sure. Search for truth in the oldest book, called the Bible. Remember, that anybody will ever know neither the day, nor the hour of the end of the world. However, in the Bible there are prophecies saying in what state the world and society shall be. The Bible says by what signs Jesus Christ´s advent will be preceded. Believe that all these signs and Biblical prophecies are being fulfilled. The end is really very close. Let´s get ready for it! 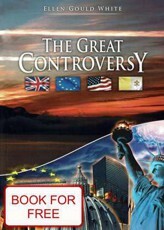 I recommend you to read the book The Great controversy by Ellen G. White, where you will find, what events must happen before the second advent of our Lord Jesus Christ. The essential you will learn in chapter 36 The Impending Conflict. Related articles from category - End of the World 2012 prophecy? AmazingHope.net - End of the World in 2012, the Maya and their calendar?